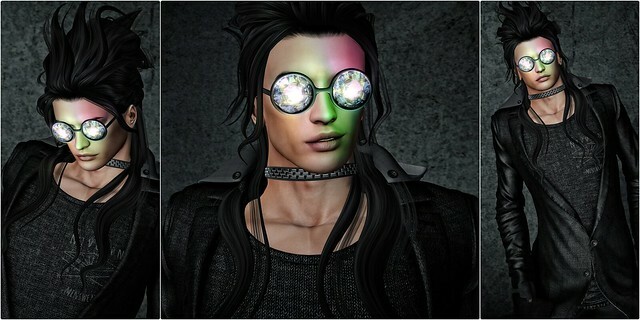 Posted in Mesh head reviews. Tagged mesh head reviews. 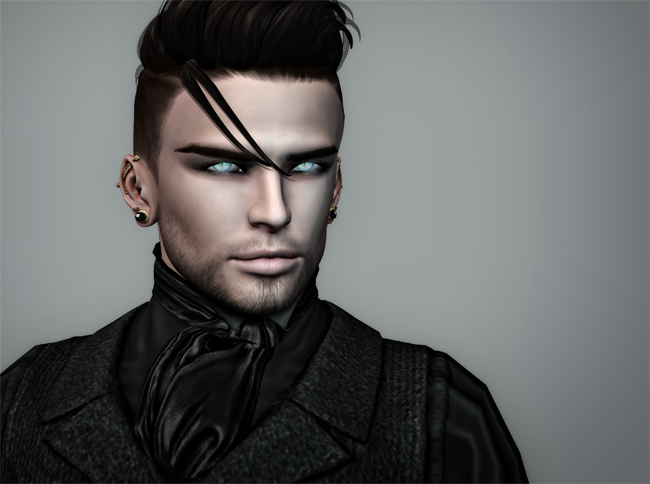 This post is really just a quickie to showcase a few pics, but once I get inworld again later today I’ll throw some more skins and some slap onto him and see how he turns out. 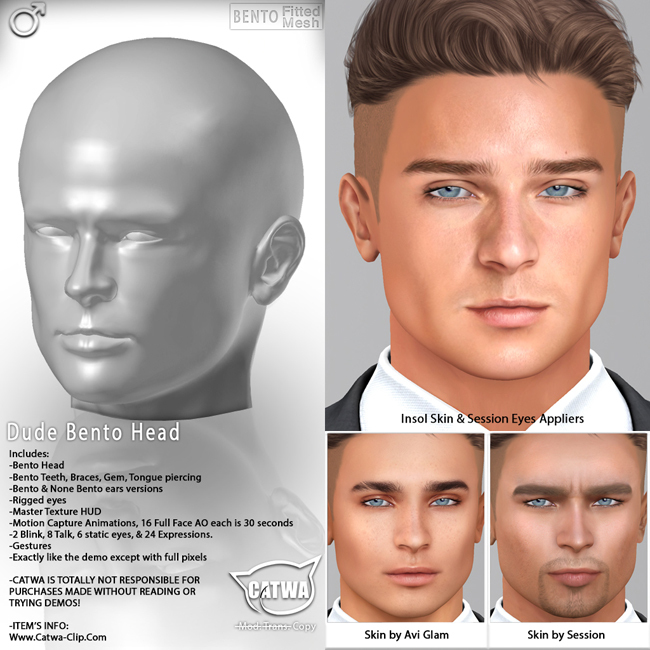 For further details about Catwa’s male Bento mesh heads—including a how-to guide for customising them—check out this post. 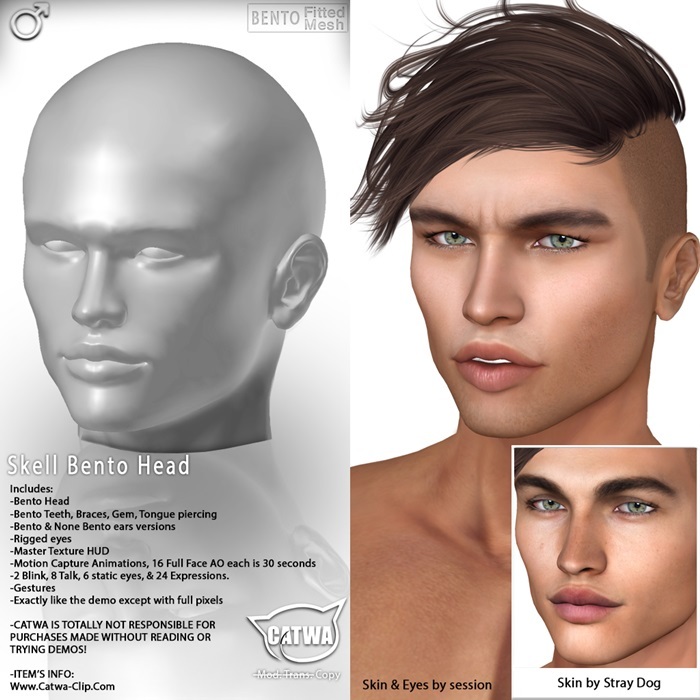 Luckily for those guys (and for the rest of us, for reasons I’ll go into shortly) Lelutka have finally released a male Bento mesh head, called ‘Andrea’, which this post is going to be a brief (and loving!) review of. First up, the nitty-gritty. Andrea costs L$5000, like most Bento mesh heads. 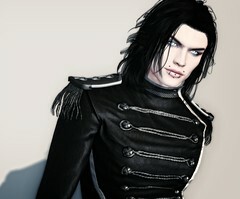 A free demo is available at the inworld store, which I highly recommend you try. 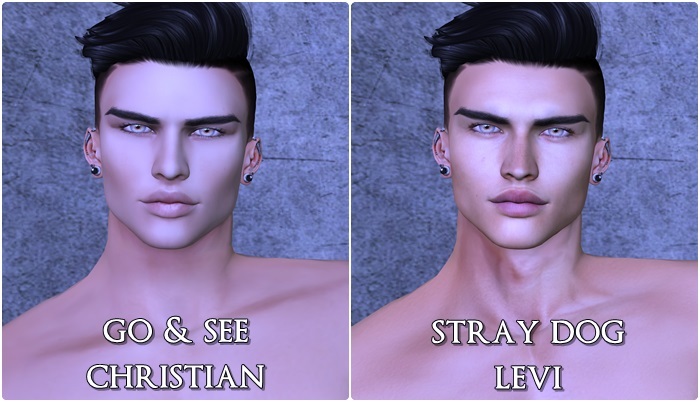 You can also pick up some demo skins by Clef de Peau, Tableau Vivant, and Stray Dog at the Lelutka store, as well as some demo shapes. These will give you a rough idea of what the head is capable of looking like. 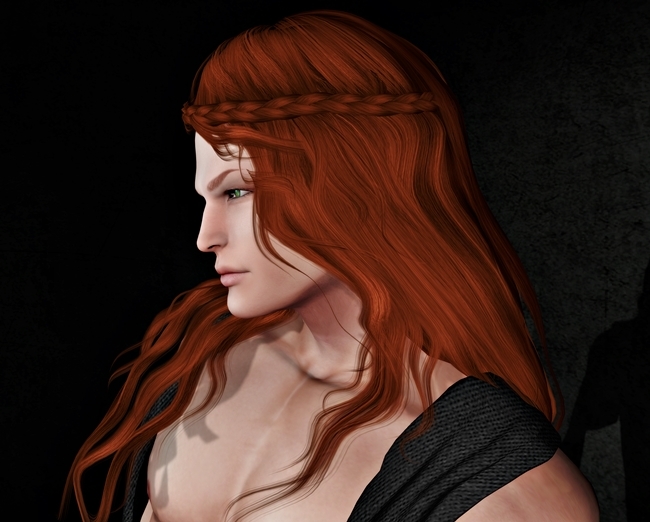 The default skins are also by Tableau Vivant, of which you get 10 different colour options. 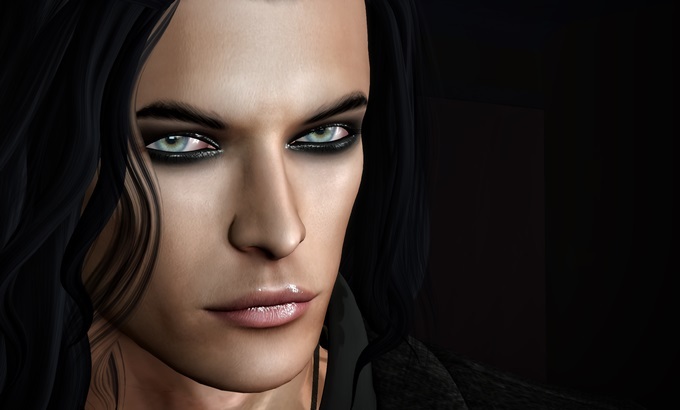 Andrea is compatible with Slink and Belleza bodies (it does not work with the default SL system body), and on my Slink body I can honestly say that I’ve never noticed a visible join mark at the neck. It also has built-in Omega compatibility. You can learn a lot more about the head by reading this post on the Lelutka blog, but I’m going to summarise the basics here. You’ll also note that the Essentials tab contains simple ‘clear’ buttons that will quickly remove anything you’ve added to your head. 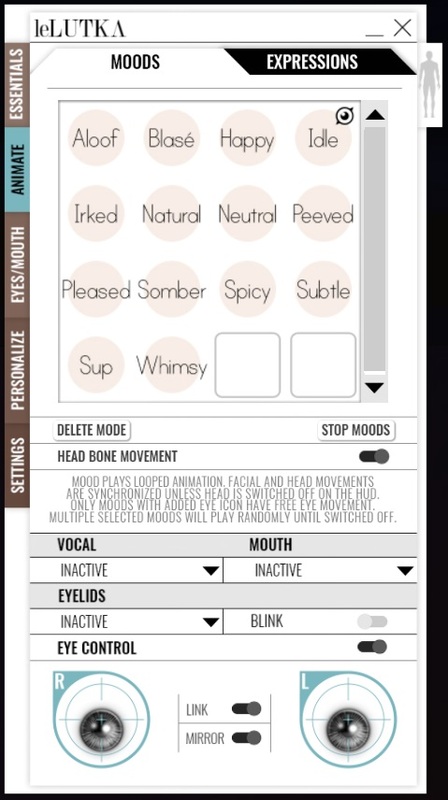 You can also control various aspects of your eyes and mouth (states of opening and animation) in this tab. Note the eye control at the bottom. I’ve found that I need to have them both at their lower setting in order to show fully in my eye opening. Whether I’ve just not discovered something that I should be doing as yet, or whether that’s a quirk of my shape, I’ve no idea. But it’s something to note. 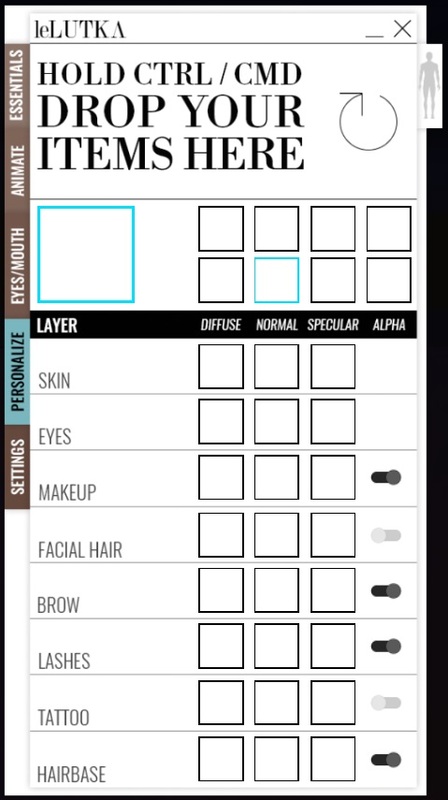 Tab three contains the main eye and mouth controls, plus some eye applier presets. 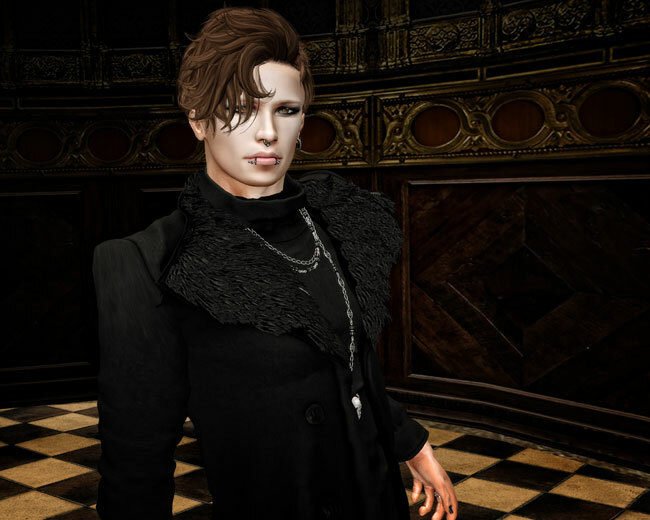 Since the head is Omega-enabled, you can also apply any Omega eyes to it, as well as Lelutka appliers. If you run out of save slots, there’s an additional Personal Library pack available for L$265 in the Lelutka store, which contains copiable individual HUDs each containing eight more slots. As well as that, the Personal Library also contains a copiable ‘full head look’ HUD, which is perfect for those of us who create outfits. Add all your appliers for a look, save it to the HUD, then save your outfit (including the HUD). 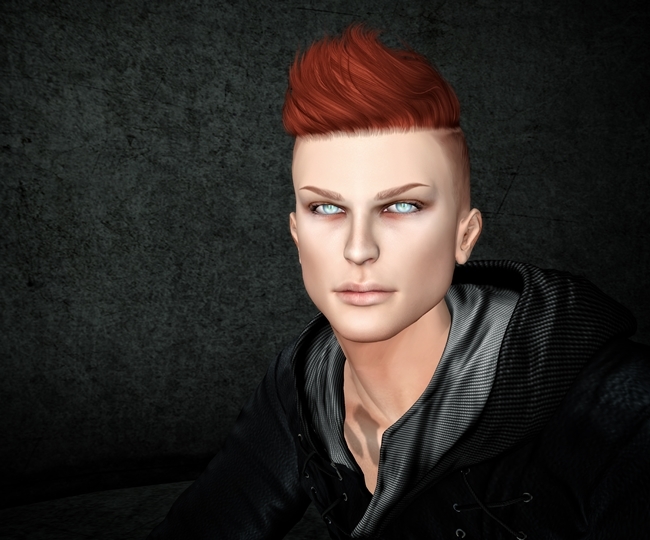 If you then change the appliers on your head and want to re-wear that outfit, the HUD will re-attach and one click will have your entire head back to the look you set it to. 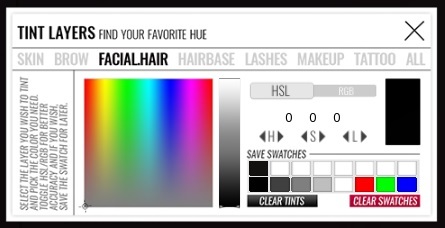 And, finally, we have the Tint Layers tab. This is nice and simple, with the layers listed along the top. 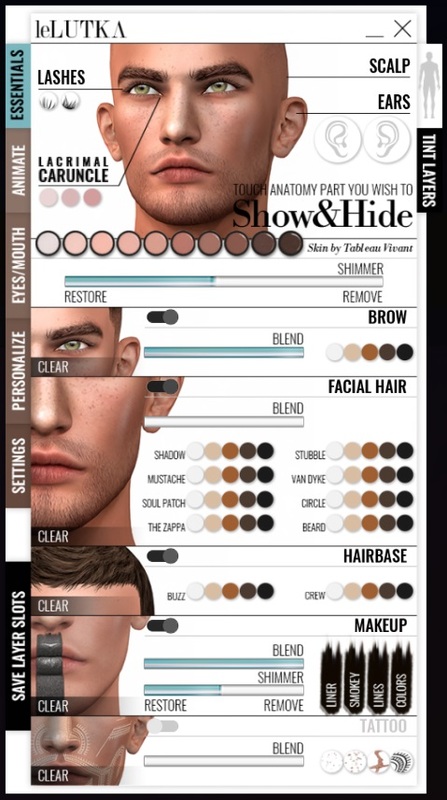 What I especially love about this is that you can tint several layers all at once by selecting the ones you want to change (so, for example, you can tint your hairbase, brows, and facial hair all the same colour in one easy click). To input RGB, click in that central section (where you see the 0 0 0) and type in the RGB values in the text box that opens up. It’s so damn easy to use. 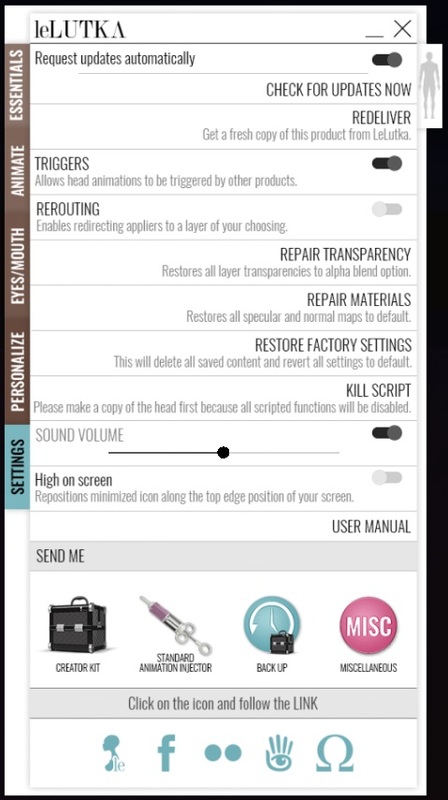 You have a simple ‘clear’ button on each main applier section to get rid of whatever you’ve applied. It’s all there, without any worrying about upper and lower layers. Omega appliers (if you hit the ‘A’ for ‘All’ button) will pop up a new window (pictured below) that names the areas you can apply it to, rather than just offering ‘upper’ and ‘lower’. 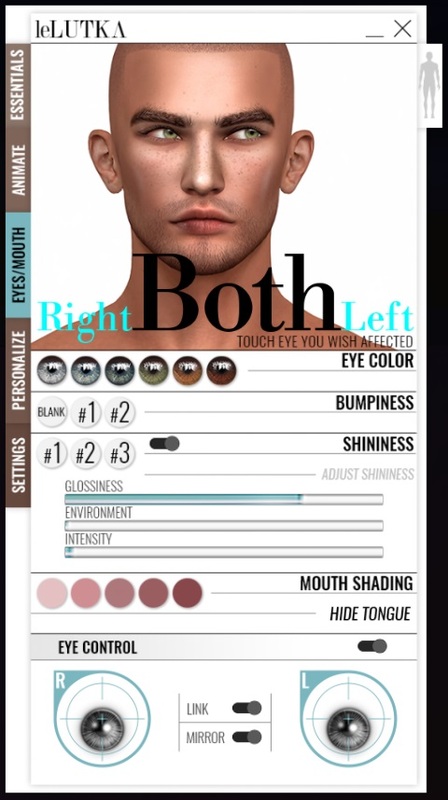 I’ve been using Omega appliers for ages, and I still get annoyed when I take a stab at upper or lower and watch my eyebrows vanish. 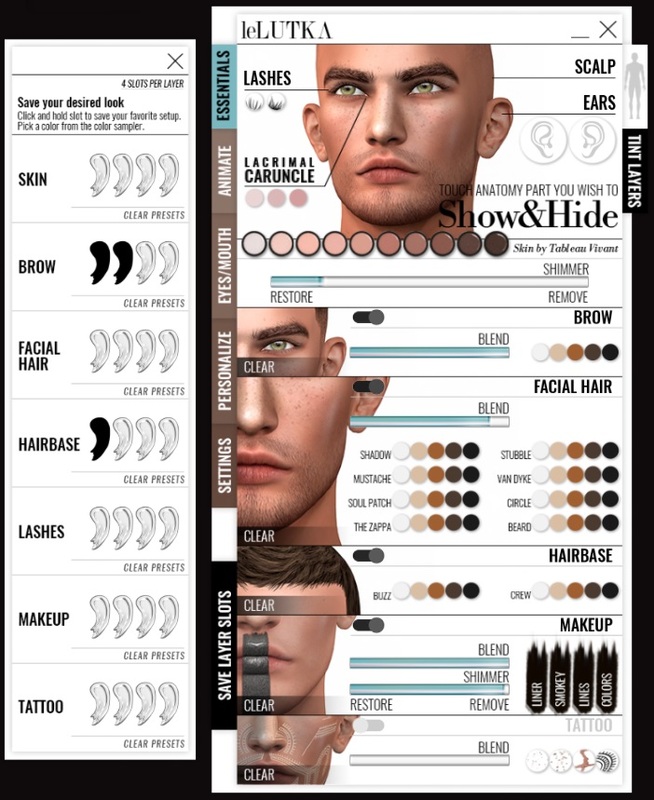 It contains a very generous sample of starter appliers, including some great makeup. 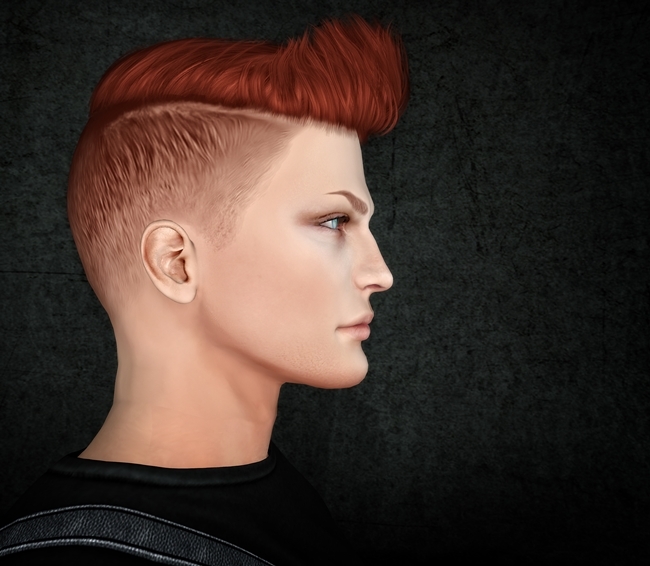 It lends itself very well to androgynous looks, for guys who are into that kind of thing. 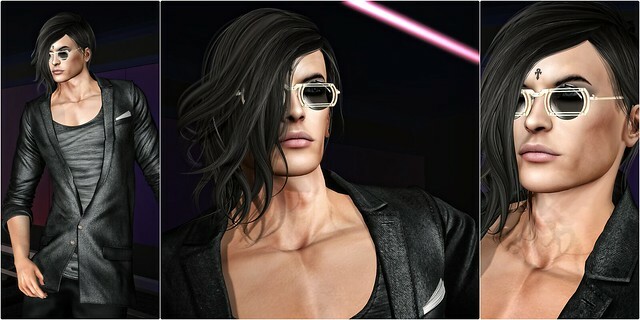 The neck blend (at least with Slink Physique Male body; I’ve not tried it yet with Belleza’s Jake body) is 99% perfect. You’ll only notice a small line there in extreme windlights. The wingnut ears. Dear god, I’m sorry, but I hate the ears! My RL ears don’t stick out like the handles of the F.A. Cup, and I don’t want my SL ears to, either! Luckily, you can hide them via the Essentials tab on the HUD, and wear ears by other creators. My own personal preference is for Swallow ears, but you may also want to try ears by Aitui (especially if you’re into gauges and stretched lobes). 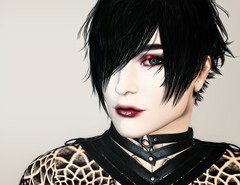 ETA: Also, check out L’Etre, who are fast becoming my new favourites for mesh ears. The shimmer on the makeup layer applies to both eyes and mouth. If you look at the images of Skell above, you can see that I’ve got a great slick eye gloss thing going on, but I also look like I’ve been snogging an open pot of Crisco. 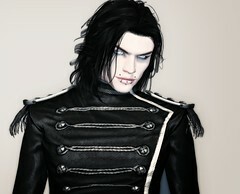 (Which, hey, worked for that look, but some guys ain’t gonna like it.) In short: I’d love it if Lelutka would split the eyes and lips into two sections. The lips are a bit on the pouty side, which I believe is something of a thing with Lelutka heads. 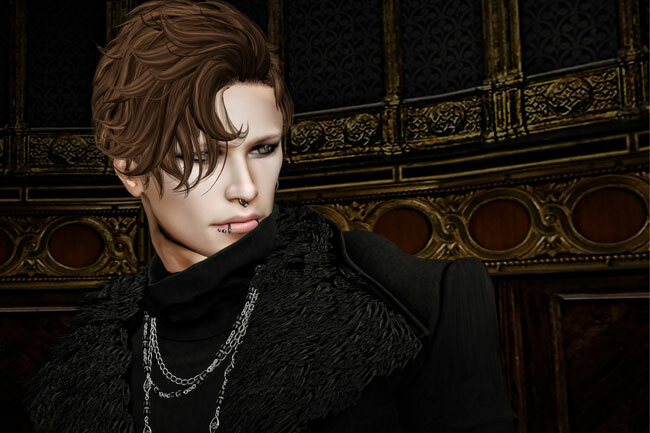 I don’t personally mind, since Skell could Blue Steel for Britain at the Olympics, but if you decide to demo the head, check to ensure you can edit the lips to your liking, from a profile view.